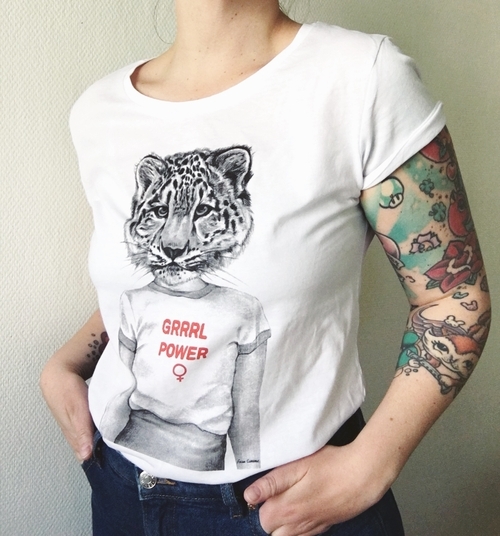 Screen printed Grrrl Power woman t-shirt. Print of my hand made graphite and ink drawing. Printed on 100% white organic cotton tee (140g/m2). The t-shirt is slightly fitted and available in extra - small (40x57cm) small (43x61cm), medium (46x62cm), Large (50x65cm) and extra - large (51x66cm). Machine wash 30 degrees.